Wonderful, wispy, pale yellow-green leaves topped with fluffy plumes of silver-green flowers, maturing to blonde-buff. 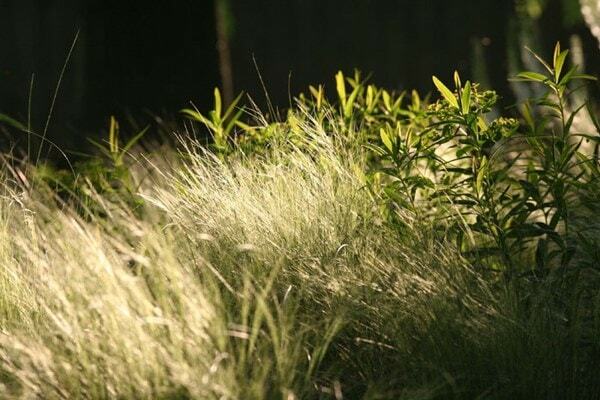 This versatile deciduous grass is ideal for a sunny gravel garden, large container or new perennial border. It's perfect for introducing movement into a planting scheme since the fluffy flower heads and foliage billow in the slightest breeze. Bought last year so has only had one season but it was spectacular through the summer and the seed heads have been attractive all winter. Put in a raised bed and it arched beautifully over the edge. Hope it is as good this year. Used I my grass area. Due to the hot dry summer I lifted it & grew it on in a pot in a sunny spot for ease of watering . It seemed very happy with pretty seedheads later on & put on reasonable growth. Will plant out again in the border this spring. This is a beautiful grass. It has a variety of colours running throughout from cream through rust to dark brown interspersed with greens. Pretty and seems very hardy. I used it in a birder where I wanted something light and delicate looking. Now that it's survived a very cold wet winter in my heavy clay I might get a couple more. One of the specials in my garden. This plant is lovely. It provides interest all year round. It has a delicate look about it, but requires little maintenance. 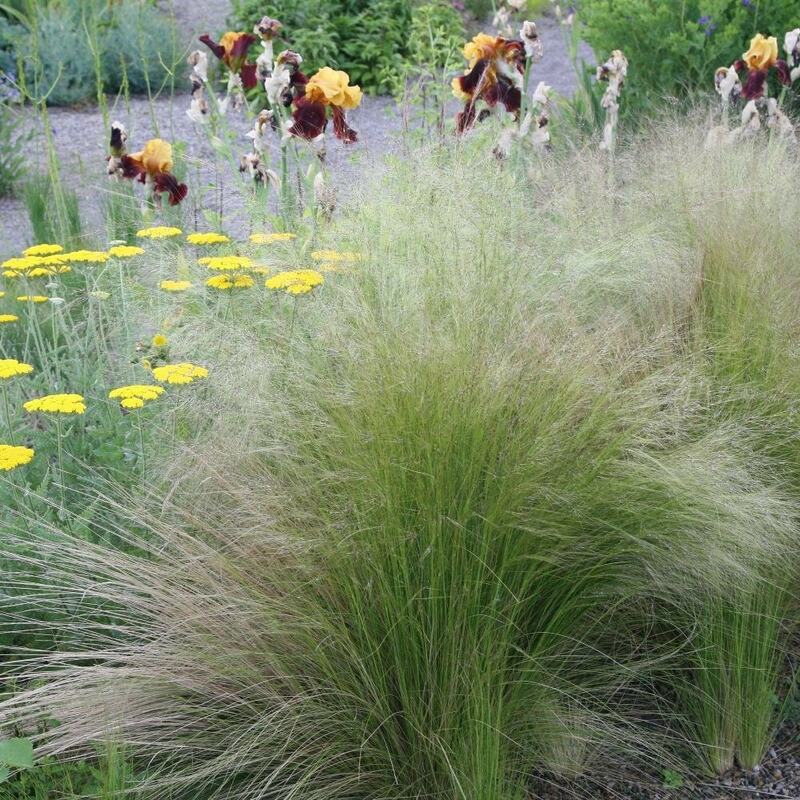 The best grass for movement and texture at the front of a border. It likes FULL SUN. Grow it out of the sun, and in a border that is too crowded and it will sulk. It can get a bit scruffy, especially after a period of heavy rain, but cutting it back in early spring (beginning of March) will encourage new growth and get rid of the matted stems. 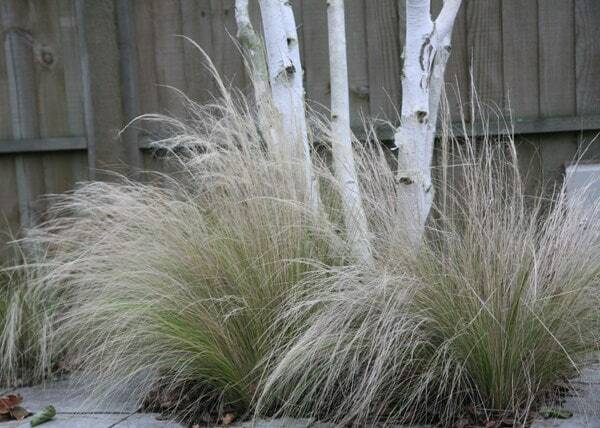 This also makes room for spring bulbs such as daffodils or tulips which look lovely planted among the grasses. I planted 3 of these grasses in a sunny spot at the front of my house. I was quite underwhelmed in the first couple of years and they did collapse in heavy rain. Now 5 years on they have formed a delightful clump and I ve added another few seedlings which are a great bonus, pluck them out and plant and they do the rest. Neglected they have thrived and now I am seeking little plantlets to add to other areas where their movement and airey nature set off the plants they are with. Looks beautiful swaying in the breeze! I planted them under a tree and they gracefully covered the bare ground. Is stipa tenuissima self-seeding / invasive? Hello, This plant does tend to self seed quite freely, however I would not say it is particularly invasive as the parent plant tends to be relatively short lived. I have been told by my nursery only to comb through stipa tenuissima however the RHS and many other sources including Crocus advise cutting down - what should I do? 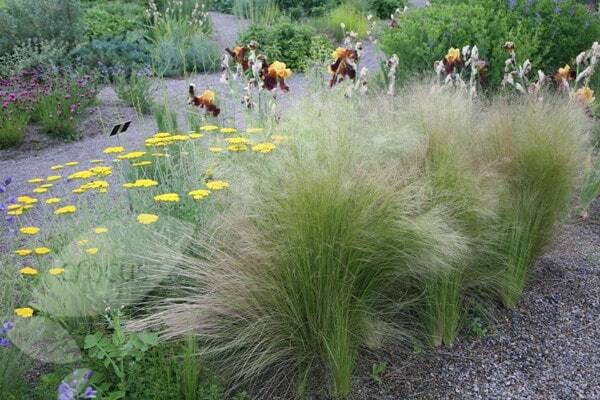 At the same time I also bought Stipa gigantea from you and I believe you just tidy this? Hello, You can in fact do either. This is a deciduous grass, but if you leave it uncut, it will provide interest throughout the winter. By this time of the year you can usually remove all the dead foliage by combing your fingers through it, but if you want a neater (and faster) option, then you can just cut it back. 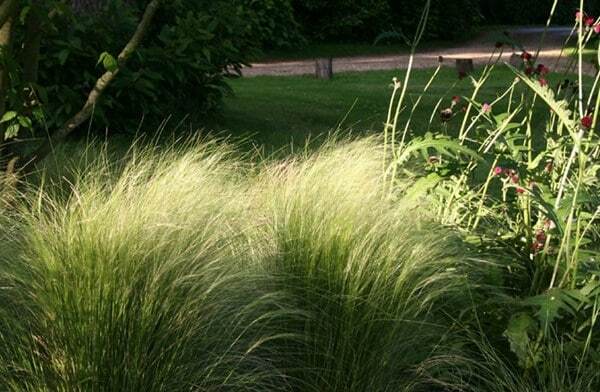 As for the Stipa gigantea, this tends to be evergreen, so it is best just to gently remove the dead bits by hand.